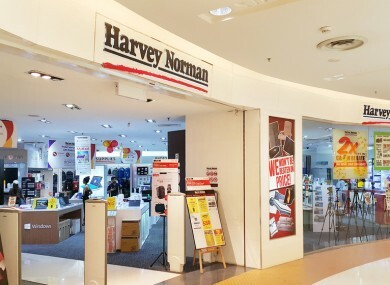 HARVEY NORMAN’S TOP security man has said legal cases against shoplifters are being “thrown out left, right and centre” because retail managers don’t know how to properly prepare for court. Michael Neary – head of loss-prevention at the major furniture and electronics chain in Ireland – said many seasoned shoplifters have had cases dismissed simply because store managers don’t have “their ducks in a row”. Neary was speaking at Retail Excellence Ireland’s annual retail retreat. As well as managing ‘shrinkage’ at Harvey Norman, he is chairman of the trade body’s loss-prevention forum. He told the room full of retailers that their store managers should be trained in how to thoroughly prepare for a case against a thief. They should have all manner of documentation to hand when they enter a court room, such as a certificate from their CCTV installer to confirm they know how to download video from a security camera. He said they should even bring the certificate of incorporation because “a clever barrister will get the case thrown out if you don’t have it”. Neary was highly critical of Ireland’s legal system, which he described as “broken” and “against retailers”. As a result, a large number of thefts against retailers go unreported, he added. Neary added that a growing number of criminals are using social media sites to flog stolen goods. “I spend half my life trawling social media, looking for items that could’ve been stolen from Harvey Norman,” he said. His advice for store managers was to monitor so-called ‘buy, sell, swap’ groups on Facebook because they are likely to advertise stolen goods. The security chief also said another worrying trend was the rise in children being used to shoplift on behalf of their parents. Retail Excellence recently highlighted this problem to members of the Oireachtas. Neary said he has come across cases where children as young as four were being coaxed by their parents to walk out of stores with stolen items. He also urged retailers to be for false arrests, where individuals pretend to steal an item they have actually paid for and later sue the store for being wrongfully detained. He called the practice “a growth industry”. Email “Harvey Norman's security chief: 'I've caught nuns, priests and neighbours shoplifting'”. Feedback on “Harvey Norman's security chief: 'I've caught nuns, priests and neighbours shoplifting'”.